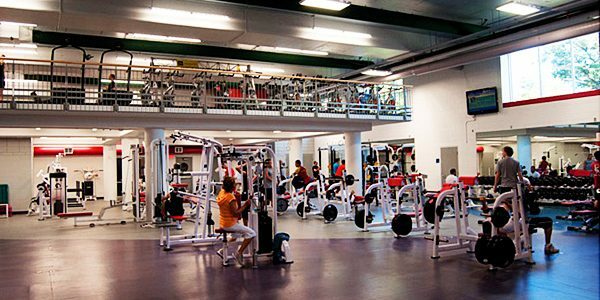 Debate: Should University Gyms Have Women’s Hours? Many universities across Ontario have implemented women-only gym hours, meaning only persons who identify as female are allowed to use the facilities at specific times. With four hours a day and five days per week, Laurier University is one of the many schools that offer these controversial hours. Ryerson, University of Toronto and York University are amongst the list as well. Nevertheless, the idea has been proposed and turned down at many other schools. But in this day and age, this gender-based rule has stirred up a heated debate. Many women argue that they feel uncomfortable and scrutinized as the minority. But others believe that these policies are a step back in the fight for gender equality. Yet the question still remains, should gyms have women’s hours? The gym is often seen as a male dominated space that can leave females feeling intimidated to break a sweat. In 2016, a survey conducted at Carleton University showed that many females have “concerns about staring, unwelcome comments or intimidation, and feel uncomfortable at co-ed gyms.” At other universities across the province, students are no stranger to this experience as well. 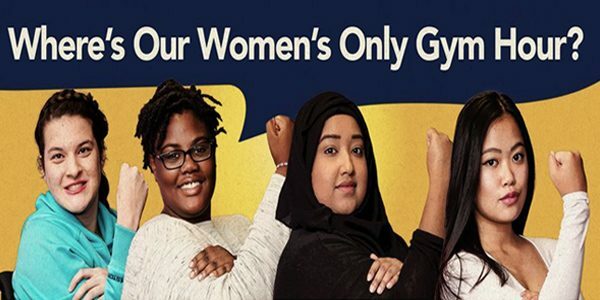 In 2014, a study conducted by Ryerson University found that several female students avoid going to the gym altogether and others may only use the few areas that seem less male dominated. The report continues, “students also suggest that there is an additional effort that goes into exercising at a co-ed gym because they feel there is an expectation of beautified exercising.” This is reflected in the rise of female visitors that have stepped into the gym facilities at Ryerson and the University of Toronto. After implementing these hours, female participation has reportedly increased in co-ed spaces. Women’s-only hours seem to allow female students to feel more comfortable with using the gym equipment during co-ed times. Furthermore, a lack of cultural and religious accommodations has been raised on the matter. Certain religions require females to follow dress codes that prevent them from exercising in co-ed spaces. Back in 2015, a female Muslim student at McGill University requested gym facilities to set aside a time exclusively for female students. As McGill’s Deputy Provost for Student Life, Ollivier Dyens responded by saying, “we don’t believe in the segregation of our services, we don’t believe in separating some groups from others on campus.” Although the idea was rejected at McGill, this did not stop the fight for women’s hours elsewhere. Students around the province still continue to raise their voices in unison to overcome this controversial issue. Segregating gym facilities by gender can seem like a step in the wrong direction. If some universities offer “women’s hours”, then where are “men’s hours”? The argument of gender equality and sexism has been highly debated. If there are women who feel uncomfortable exercising around men, who says it is not the other way around as well? There may be some male students who feel uncomfortable working out in the presence of women. The controversy has fueled online debates over the issue. On The McGill Daily, one commentator says that there are “plenty of men who feel too intimidated to work out as well because of their own physique or comfort level.” Another said, “if harassment occurs all over campus, are you going to fight for women-only hours everywhere on campus?” Perhaps gender segregation is not the proper way to deal with the sexual harassment and scrutiny that allegedly occurs in school gyms. Women’s hours may have received positive feedback from female students, but not everyone benefits from the idea. These hours prevent men from using the facilities even though all students must pay the same fee. Many male students argue that this also conflicts with their school and exercise schedule. “For some people, it cuts into their workout routines. For example, I was in my 20-minute jog and right at 10 minutes, I was told to leave,” said one Ryerson student. Women’s hours may be favorable in some aspects, but only at the cost of male students. And what do you think? Let us know below in the comments or on social media @FazeMagazine.